Augmented reality (AR) has already become a buzzword in the world of technology. It’s difficult to find someone who’s never heard of Pokémon GO, a bestselling AR mobile game played by millions of people all over the world. However, AR isn’t just about games. It goes far beyond gaming and entertainment. AR has breathtaking prospects in many industries, from education to healthcare to construction. Now AR has come to advertising, and it’s going to change the way the digital advertising market functions. AR makes advertising interactive, allowing marketers and advertisers to reach out to consumers in totally new ways. Many companies have already embraced this cutting-edge technology. If you still aren’t sure whether it’s worth going for, you should clearly realize what benefits augmented reality advertising provides and how exactly you can use this technology in real life. The modern world is a digital world: according to a report by We Are Social, there are almost 3.8 billion active internet users globally. There’s plenty of work for advertisers and marketers. No wonder the digital advertising market is booming: worldwide spending on digital ads is expected to reach $229 billion this year and over $335 billion by 2020. And though augmented reality ads have been used mostly by early adopters so far, they’ll become more popular soon as the number of AR users rises. Statista forecasts that 200 million people (worldwide) will be using mobile AR in 2018 (versus 60 million in 2013). There are several major reasons why the future of advertising belongs to AR ads; let’s go over them. Augmented reality ads are immersive, which means they help marketers create a certain emotional connection with customers. Unlike images or banners, for example, AR ads are interactive and lifelike: consumers can see and even interact with them. Imagine, for instance, an eye-catching billboard advertising a just-released movie. Now think of the magic AR can do: passers-by point their smartphone cameras at the billboard and watch the trailer on their smartphone screens. Which of these two strategies (a billboard or an AR ad) is likely to incite more interest? No doubt, most customers will opt for an AR ad. Interacting with AR ads, consumers feel like they’re playing an engaging video game. This builds an emotional connection with customers, encouraging them to make purchases. Needless to say, an emotional connection is a great tool for increasing brand awareness. People better recall brands they have positive associations with, so AR ads are perfect not only for promoting sales, but also for building a company’s reputation. This strategy was used in the Arctic Home Campaign by Coca-Cola and the World Wide Fund. The campaign, aimed at the protection of polar bears and their natural habitat, included an augmented reality event at the Science Museum in London. Visitors could see themselves interacting with virtual animals in their natural environment. This event helped the Coca-Cola company create deep emotional connections between people and the brand. Though digital ads are extremely popular, traditional print ads are still far from obsolete. There are many print magazines with catchy images advertising a whole spectrum of goods and services. However, placing ads in popular print magazines can be rather expensive. For example, one full-page color advertisement in the Wall Street Journal may cost as much as $221,000, and the rates may be even higher in other national magazines. Augmented reality advertising is usually more affordable and far more immersive than print advertising. Of course, the price for an AR ad varies depending on its quality: a simple AR ad can cost around $5,000 to develop, while a sophisticated AR campaign with eye-catching graphics may amount to $100,000. 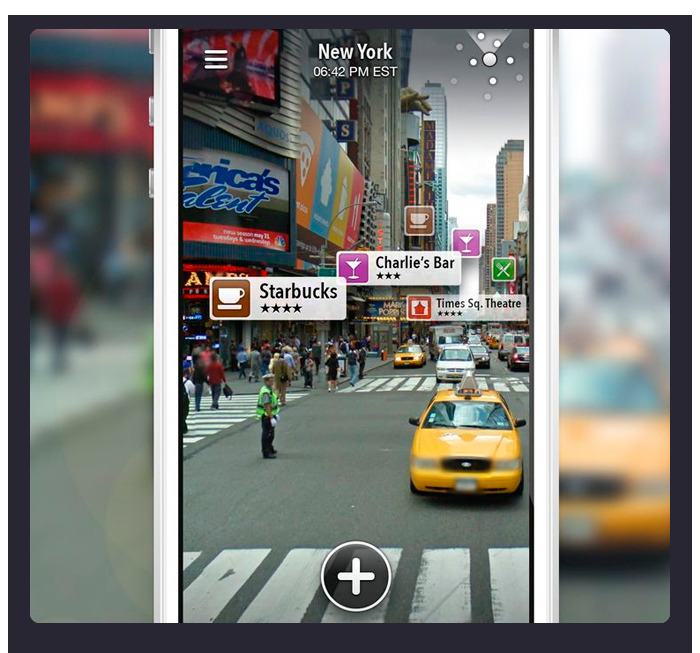 There are two major types of augmented reality: marker-based and location-based. AR ads can be built with the help of either of them. Marker-based AR ads require a marker (i.e. a target image) that customers scan with their smartphone cameras to bring virtual content to life. Location-based AR ads don’t require any markers (so there’s no need for a print image), as they overlay virtual content based on a user’s location (with the help of GPS). Launching an AR advertising campaign is usually a lot cheaper than placing a print ad in a bestselling print magazine. Moreover, the same AR application can be used for many campaigns. Augmented reality ads aren’t the only way of promoting products or services. AR offers other ways for marketers and advertisers to increase sales volumes: virtual try-ons. Imagine coming across a conventional advertisement for, say, sunglasses. You see nice pictures of the glasses, but can you be sure they’ll suit you? This isn’t a problem if augmented reality technology is used: you’ll be able to virtually try on a number of glasses and choose the ones you like the most. Needless to say, consumers can try on many other items with AR: shoes, clothing, jewelry, watches, and more. This makes AR ads a powerful tool for driving sales and increasing revenue. Digital ads use advanced machine learning algorithms to analyze user behavior and interests in order to recommend the right products and services to the right people. Augmented reality ads offer marketers an even better opportunity: advanced hyperlocal advertising. Unlike traditional hyperlocal ads that, for example, tell customers about establishments such as cafes and outlets, AR hyperlocal ads are truly immersive as they can show objects right on a smartphone’s screen. This way, customers are not only informed about places that might be interesting to them, but are guided there as well. AR ads are, therefore, extremely useful for business owners and can help them attract more customers. Augmented reality ads haven’t become common yet as AR technology is just making its first steps and only early adopters have started using it. However, any new technology requires time to become mature and widespread. We’ve selected five use cases for augmented reality advertising so that you can understand what unique experiences AR provides. IKEA, the famous furniture retailer, was one of the early adopters of augmented reality ads back in 2013 when it released its iOS AR mobile app that showed users virtual pieces of furniture from the company’s 2014 catalog. Customers simply put a print furniture catalog on the floor and scanned it with their smartphone or tablet cameras to see the virtual furniture. This way, customers could see whether a certain piece of furniture would fit in their real-life environments and what color would be most suitable. AR allowed the company to spark customers’ interest and encourage sales. IKEA is currently building a new AR app based on Apple’s ARKit software. Bus shelters are often used for advertising, but augmented reality can turn a common bus shelter poster into an unforgettable and entertaining experience. That’s what Pepsi did with its Pepsi Max AR advertising campaign. A screen and a camera were installed in typical London bus shelters to overlay virtual objects onto a real-life camera view. Similar technology can be used to advertise anything from a fizzy drink to a new movie. Brick-and-mortar stores are struggling to compete with online marketplaces today. Augmented reality can help them remain afloat thanks to the breathtaking immersive experiences it can provide. Toys ”R” Us launched a fantastic AR advertising campaign dedicated to the Easter holiday. It was called Virtual Easter Egg Hunt, and children were invited to use their tablets to follow virtual Easter bunnies and hunt for eggs. The eggs’ coupons were for real toys in the store. AR helped Toys “R” Us create a truly amazing advertising campaign that attracted lots of visitors. In 2014, Lacoste launched an augmented reality app for its LCST brand. Users could place their feet on a special marker, scan it with their smartphones, and try on different Lacoste shoes. 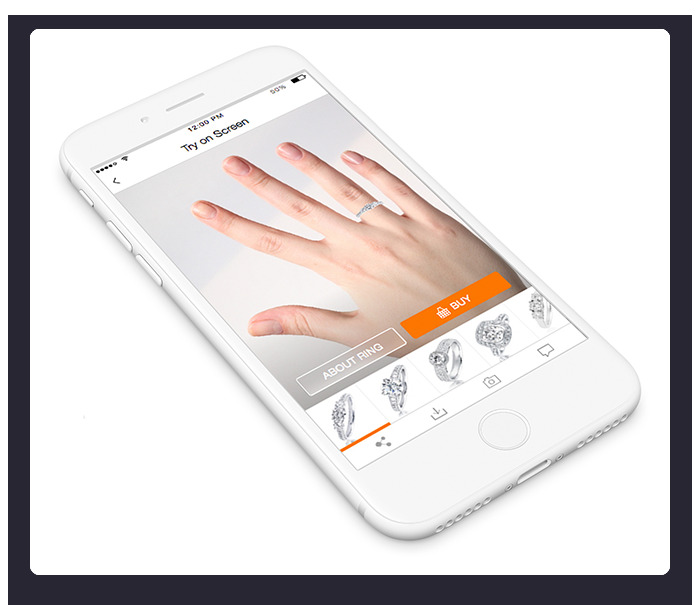 This type of AR application is extremely useful for online marketplaces, as people can try apparel before purchasing, minimizing the number of returns. Storefronts belong to traditional advertising, but you can add some digital experience to them with the help of augmented reality. Storefronts can contain markers for AR apps that passers-by can scan to enjoy outstanding AR experiences. This kind of advertising isn’t just efficient, but affordable as well, since companies can use their own storefronts for advertising campaigns. That’s what Net-A-Porter did when it created augmented reality storefronts at its outlets in London, Paris, Munich, New York, and Sydney. Customers could install a special mobile AR application on their portable devices, scan the storefronts, and enjoy AR experiences (360-degree views, product information, pricing, etc). Though AR can substantially change the advertising industry, there are several challenges in the path of this technology. Let’s briefly mention the most significant. So far, augmented reality works mostly through special AR mobile applications. And that’s the problem: to immerse themselves in the world of AR, customers need to find a mobile app in the Apple App Store or the Google Play Store and install it. Doing so takes time and, moreover, most people would probably need to keep several AR apps on their smartphones to access different AR experiences. As a result, many users don’t want to bother with it and prefer not to use AR apps at all. The solution to this problem is under way, though. Blippar, a prominent AR provider, is working on a totally new media format called augmented reality digital placement (ARDP). 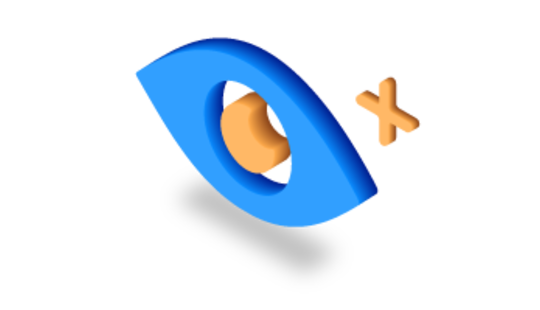 ARDP doesn’t require a separate AR application. Instead, advertisers can use ARDP to create AR ads by using only smartphone or desktop cameras. 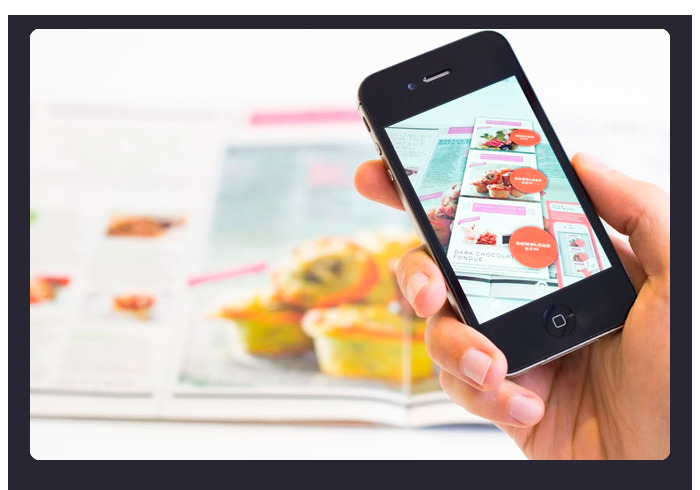 Thanks to ARDP, users can tap on a rich media ad (a banner, for example) and activate AR. This technology is going to make AR ads more accessible and, thus, more widespread. Would you prefer to play a computer game with realistic graphics or one with poor graphics? Unless you’re a fan of old-school games, you’ll opt for the better graphics. The same applies to augmented reality. People are unlikely to enjoy an AR app with poor graphics, but smartphones and smart glasses are no match for desktops in terms of graphics power. Portable devices need to have hardware powerful enough to produce high-quality graphics. 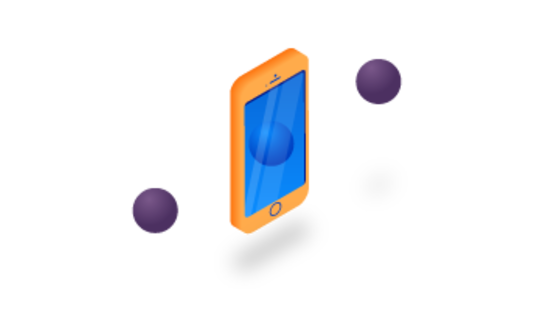 Fortunately, the processing power of portable devices has been steadily increasing, and modern smartphones can produce quite sophisticated AR. If you realize the full potential of AR advertising, you’re probably wondering how exactly you can create augmented reality ads. 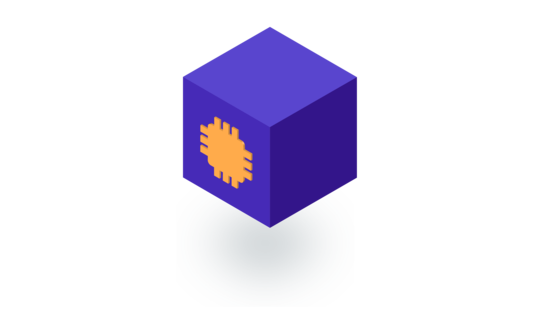 First of all, you can use a special AR software development kit (SDK). Many companies are offering these tools, so choosing the right one isn’t easy. You need to figure out what functions you need from an SDK in order to create your AR application. We recommend reading a helpful comparison of the most popular AR SDKs on the market to get a general understanding of what you’re dealing with. However, using an AR toolkit requires strong coding skills. Many digital advertising agencies simply don’t have the in-house developers to do it. So instead of reinventing the bike, you can cooperate with a reliable technology partner that will provide you with a team of professional software developers. 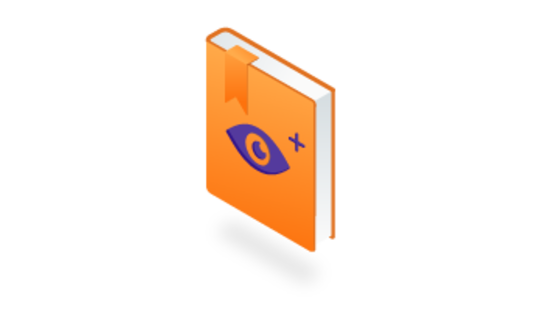 They’ll analyze your project and define what AR SDK is the most suitable and how much effort your project requires. Augmented reality advertising gives marketers an enormous advantage, since this technology makes ads engaging, interactive, and efficient. As you can see, many companies have already embraced this top-notch technology and more are expected to follow suit. 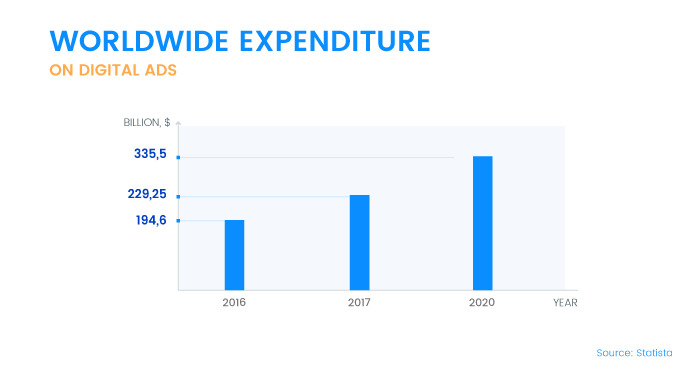 According to data by Statista, worldwide spending on AR advertising will reach nearly $13 billion this year, a lot more than the less than $1 billion of spending in 2014. It’s the right time to opt for AR ads if your goal is to outperform your rivals and launch profitable advertising campaigns. Are you ready to step into the world of augmented reality advertising? If your answer is yes, feel free to contact our team and we’ll help you get your fantastic idea off the ground. You need to stop quoting Statista - they do no original research, but steal it without attribution, which violates copyright laws. Do your homework and find the actual source of the data. 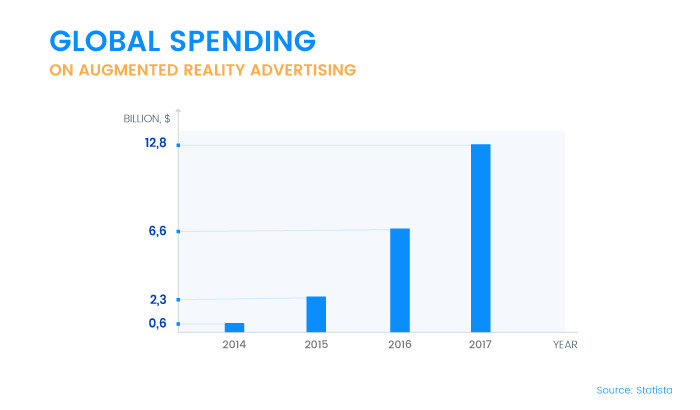 Furthermore, there is absolutely no way that AR advertising generated $13 billion in 2017 - the campaigns that were highlighted in this article cost were one-time events and cost about $5 million tops. So where are the 50 campaigns that cost $100 million that could account for $5 billon of the $13 billion - there aren't any, thus there would have to be at least 1 million less expansive campaigns to reach the $13 billion benchmark - and if there were, everyone would be talking about it as an alternative to mobile advertising, and they aren't. You probably looked at a 2014 study that forecast incorrectly that AR advertising would reach $13 billion by 2017, but Statista's inaccurate headline probably made you believe it was a more recent study. Hi Leo! Thanks for your feedback. I must say you sound quite reasonable and we'll definitely double check the sources we quote in the future. Anyways, cheers from our team! Hi, thanks for detailed information. I love it.